The podcast is just another source of brand promotion, but it has to be optimized for visibility in search engines, YouTube and platforms like Google Play and iTunes. Apart from technical SEO and links, interesting, high-quality and engaging content is one of the pillars of any successful SEO strategy. Regular content strategies for SEO includes articles, blog posts, images and at times video. These contents awesomely support your SEO endeavors in driving traffic whereas podcasts are often underrated and overlooked medium. The underestimated podcast has enough capacity to build your brand and drive organic traffic and at the same time adds rich content to your website by supporting your link-building efforts. Of course, you not only need to know how to leverage your podcasts for SEO but also how to rank well on the platforms specific to podcasts. So, whether you’re starting out or are an established podcaster, read on for specific tips on how to SEO your podcast. Well, how you would take your podcast for your targeted iTunes and Google Play audiences. How would make them know that your podcast is available on the platform, and then it is your title that will tell the whole story in few words? The iTunes ranking algorithm for podcasts puts a heavy prominence on the title of the podcast along with other factors like total count of subscribers and reviews for a particular podcast. Like all other contents, the title of podcast content should also be compelling and interesting rather than obscure or non-intuitive. It means the headlines clearly expressing your objective of the content including the most important keywords in the title. A subtitle would be enough if your show is already established. For instance, if the title of the show is “The Only Night angle Podcast” and your show is about “Lata Mangeshkar”, you can make a subtitle, “A Night angle Lata Mangeshkar Podcast”. A title should not be a generically keyword-rich summation rather than it should be something you should proud of. Remember, with branded podcast names, it would be good to add keyword-rich sub-titles. And if you want to add keywords in your title or subtitle, never your author tag with keywords. This is will be caught by Apple which will send you a note stating that your author tag is not representing your show. Optimize your RSS feed which is valuable for your podcast for promoting on iTunes, Google Play Music, and numbers of similar platforms. Preferably, your RSS feed is that what followers are subscribing to when they subscribe to your podcast content on iTunes or Google Play Music. Your feed is all about a short message for your podcast information on these platforms. So, whenever you update the title or description of your show, you need to update your RSS feed as well. It would take 24 hours for any of the fields to update on Google Play or other directories. The best way to control SEO over your podcast is by making your RSS feed. Yes, a podcast is an audio file, but it doesn’t mean that you can’t get best SEO points by leveraging your website and making it a valuable destination for Google to send organic traffic. From an SEO point of view, there is always a chance to attract more reliable links to our sites. A potential podcast is just one more type of content you can attract those links too. Suppose a writer is viewing your site and considering linking to your podcast content. Other authoritative links can show them as a “social proof” that your content is high-quality, reliable and authoritative and linking your website with your podcast can be fruitful for you. 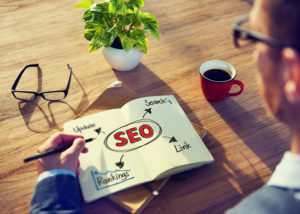 Why Choose Economical SEO for Its Services?